Flight attendants at Northwest Airlines have formally objected to the payment of 'enhanced fees' to several consultants and legal firms that represented the airline during its bankruptcy restructuring. The flight attendants, represented by their union, were joined by the U.S. Trustee and representatives of Northwest's bondholders in formally objecting to the payment of additional fees to four firms. Judge Alan Gropper of the U.S. Bankruptcy Court for the Southern District of New York agreed with them, at least in part, by denying two of the fee applications. The hearing on two others has been delayed. The Court recognized that it was the sacrifice of the employees and other factors -- not just the work of these firms -- that helped turn Northwest around. The Court denied the applications from Cadwalader and Otterbourg. The other firms' applications will be heard at a later date. In so ruling, the Court noted the importance that the process be perceived as a fair one, clearly concerned that these outrageous fees would have diminished the fairness of the entire process. Commenting on the flight attendants' position in this matter, Kevin Griffin, president of the Northwest MEC of AFA said, "If AFA-CWA had not objected today, more millions of dollars of our concessions would have been wasted on these outrageous fees. Management did not object to these fees, so the money is clearly available. Since they will not have to pay these ridiculous bonuses, we think it is far better spent on returning some of the pay and workrules the Northwest flight attendants have sacrificed." Flight attendants at Northwest Airlines are calling for the resignation of the airline's President and CEO, Douglas Steenland. Late last week the Association of Flight Attendants (AFA) released a statement to the press declaring that "severe staffing shortages, record flight cancellations, low employee morale and outraged customers are the direct result of poor management by Steenland." How low is moral among Northwest flight attendants? 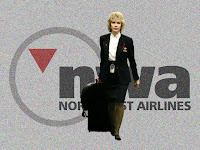 AFA reports that a poll of Northwest flight attendants, conducted by the Wilson Center for Public Research, revealed that 89% of respondents describe their view of NWA management as "mostly negative" or "very negative." "Northwest flight attendants sacrificed 40 percent in pay, work rules and benefits cuts and are 20 percent more productive, all in an effort to ensure the survival of Northwest Airlines," said [Northwest AFA MEC President Kevin] Griffin. 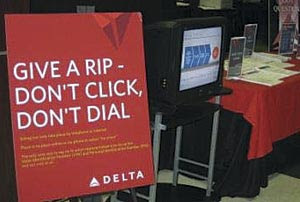 "In return for our investment, Mr. Steenland pocketed a lucrative compensation package and has mismanaged our airline. 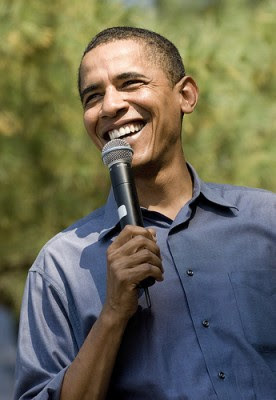 It's insulting to flight attendants that he remains employed." Mr. Griffin sent a letter to the Northwest Board of Directors on behalf of the 8,000 flight attendants he represents, expressing their lack of confidence in the airline's management. Accompanying that letter was a formal resolution calling for Steenland's resignation.